What I mean by helping is not by giving the homeless person money or a place on my couch. I mean helping by just offering them another human being to talk to, or rant like I do with my besties Ange or Gill when I feel my world crumbling under my feet. 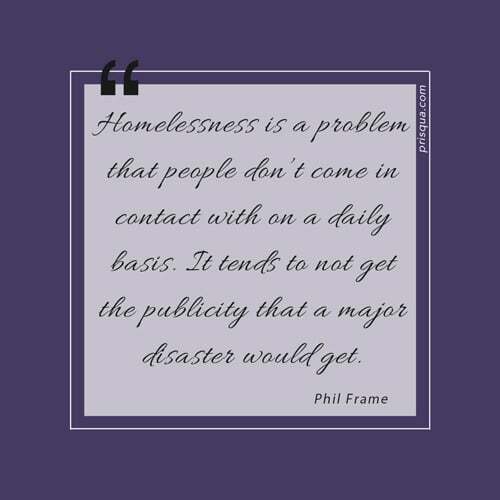 Who do homeless people talk to? I’m wondering about it because I see some of them, and they are alone, whether they choose to be or not, that I don’t know. There are shelters for homeless around, but from what I heard, they have limited beds, women and children have priorities. And I’m guessing they might be run mostly by volunteers, so do they really have time to sit and chat or just listen when there are so many people experiencing homelessness? Would the homeless people even feel comfortable in doing so in an environment that may not be that pleasant? I remember going to a homeless shelter once. It was not a place I felt comfortable with to just have a chat and explain what was on my mind at the time. There is a homeless guy sleeping next to the doctor’s surgery, across my flat. He often sits or lays down on the bench, taking in the sunshine. I am not stalking him, but he is in the car park, just there, it’s hard to miss him when I’m putting my washing out or doing the dishes and looking up, especially when it has been months since I first noticed him. I have seen him doing grocery shopping at Aldi, so he must get money from time to time, Centrelink perhaps. When Amanda was working for an employment agency, she told me a lot of her clients were homeless. In fact, Maroochydore, apparently, has lots of homeless people. It’s kind of hard to imagine because a lot to me takes me back to London, Nice and Paris where there are so many homeless, you just cannot not notice. Amanda explained there are various reasons for homelessness, not always related to drugs, alcohol or abuse. She saw quite a few teens, and for some of them, she knew she wouldn’t be able to find them a job because they needed a different kind of help. She also dealt with the ones who seemed quite contempt in being homeless. One day, I had made donuts and decided to give some to the homeless guy in the car park. I went with my flatmate. From a distance, he looked clean, but up close, he wasn’t and he smelled. It wasn’t too bad, though. We guessed his age to be late 30s or early 40s. His speech was not very clear but enough to understand “no, thank you. I have food,” pointing at an almost empty bottle of milk. I was disappointed. I mean, who has ever refused my homemade donuts? Was it pride? Did he say no because he thought I was offering them to him from pity? I have never seen him around other people. He sits on that bench for long hours a few times a day. I have never seen him on a phone or reading a magazine. He just sits there and looks around or naps. To me, that sounds like torture. I would at least beg for books, I think. I’ve been going back for my walks at the beach again. I go in the morning and the afternoon. It didn’t take long for me to notice another homeless guy. I don’t walk close enough to see what he looks like so I’ll take a wild guess and put him at 30 years old and tall or taller than me because he walked pass me once. I smile to everybody when I walk. Some people avoid my gaze, others reply with a ‘good morning,’ or just a smile. Some smiles are bigger than others. It’s quite interesting really. What do those smiles mean? But I digress. That’s a story for another time, maybe. This story is about Beach Man. I would like to offer him my help, someone he can talk to, and maybe somehow I can help if he wanted to or if it is in my power to do so. I go the beach around 6am and he is there. I go back in the afternoon at different time and he is still there. When he walked pass me that one time, I didn’t want to stare at him, but I did notice he was a tad bit red in the face. Surely staying in the sun all day long is not a good thing? There is not really any shade on our beaches, but parks with tall and wide trees are everywhere. So why stay at the beach all day? I realise that there must be some sort of ego preservation going on. I talked to a few people when I was thinking about doing a local news piece for my journalism studies about the homeless. Most people who have been homeless at a point in their life told me it’s not something they’d brag about, even if it’s in the past. They can relate to it and even offer advice, but they will not easily admit they were in that position. Let me be the first one to admit it, then. I was homeless for a week at least when I went back to London. I was in a bad place, and had run out of money after my constant travelling around the world. Because I’ve always had a roof over my head, I wasn’t quite sure what to do, and this wasn’t my country either. When I moved to the UK at 17, my mother had organised accommodation and job interviews were lined up for me the following day of my arrival. I wouldn’t know what to do if it happened in France either because I’ve lived most of my adult life in Australia. It’s not a time I can be proud of. I did feel embarrassed about it, especially when I was told I had to go to a shelter to have a shower, and there was a limit on the time in the bathroom, if you could even call it a bathroom as it was so tiny. But it was better than nothing. I was also hungry. I remembered looking on the ground for coins so that I could buy chips at McDonalds. I found a place that offered food: leftovers from shops that were given away for the homeless. No matter how hungry I was, I felt terribly embarrassed. I took a few sandwiches, ate them and left to never go back. I’m glad there are places like that. I just don’t to have to be in that position again. Those were not fun times. I had a phone though and a laptop, so I spend most of my time at the library where I had free internet access. Eventually I was able to sort myself out, stayed at a hostel, got a job and new friends. I also was in contact with my daughter the whole time, so eventually recognised I had some support and I could pick myself up. I watched a brilliant TV on the SBS On Demand app, called Filthy Rich and Homeless. It’s about five wealthy volunteers who hand in their clothes, phone and wallets in exchange of second-hand clothing and a sleeping bag to experience homelessness for 10 days. It’s a must watch show. Life is always easier if you have good people to talk to and listen to you. I don’t know why this man is homeless. I don’t know if he even wants to talk about it. But I would like him to know that if he wanted to talk about anything, all he has to do is let the words flow. Because we all deserve someone to listen to our ramblings and a shoulder to cry on. All of us have a right to be. 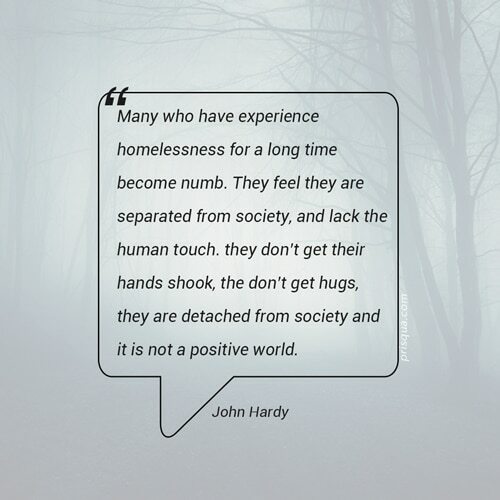 What is your knowledge about homelessness? Would you help a homeless person, and if so, how? Australia Institute of Health and Welfare homelessness services in Australia.